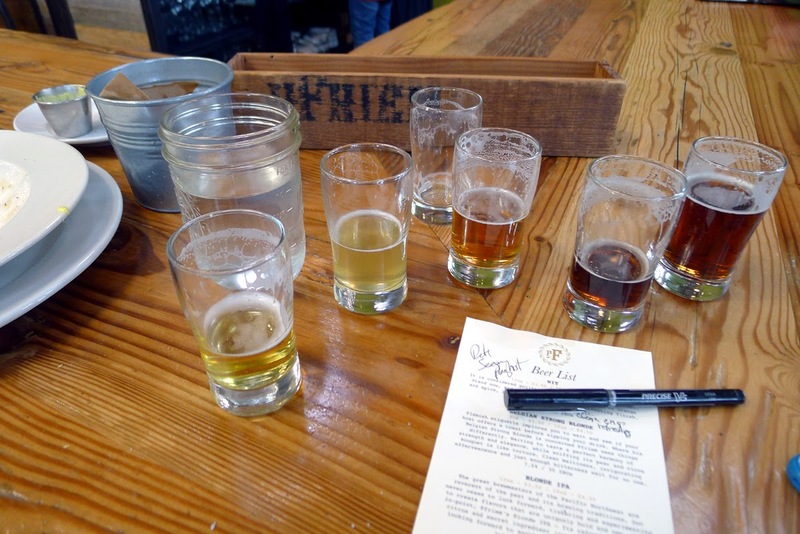 Hood River is a great beer destination, loaded with several prime stops. I make occasional trips out to there as part of the contract work I do. These trips don't happen often enough. When they do, I make it a point to visit a place I haven't been to. So many choices out there. 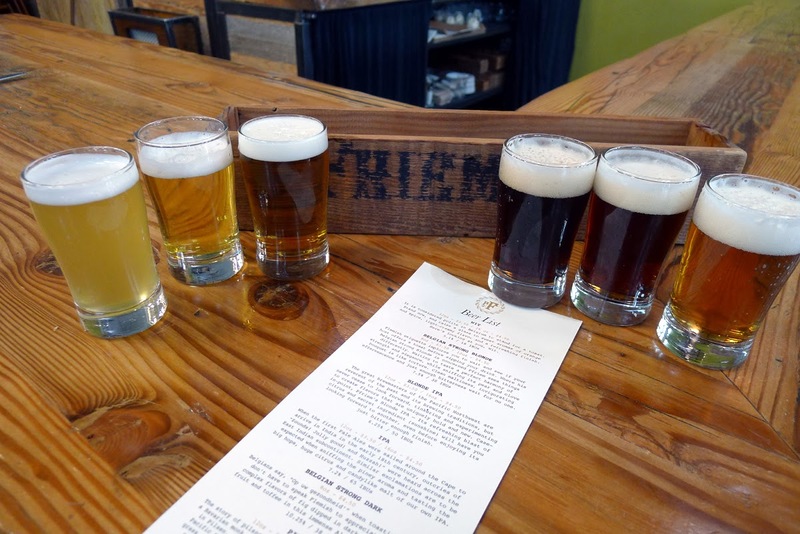 My most recent trip took me to Pfriem Family Brewing, located very near the Columbia River to the North of I-84. There's a large park across the street from the brewery and pub. This place must be absolutely nuts in the summer, but it was freezing outside and there wasn't much happening on this day. Pfriem has been around since in early 2012, so they are coming up on two years of operation. The beers have been showing up in Portland for a while. There was a tap takeover at Velo Cult a month or so ago. Despite a fantastic turnout, there were some beers left. Great stuff, I thought. Josh Pfriem is the brewmaster. 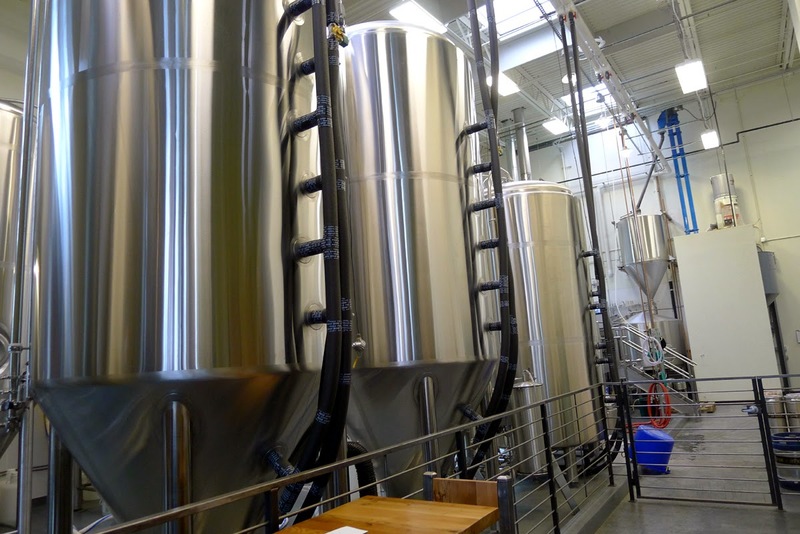 He has a lengthy brewing background that includes stints at Full Sail and others. His approach to brewing leans heavily on an interest in Belgian and Northwest hoppy styles. It's an unusual combination, although there is a bit of a trend in that direction. There's a lot more about Josh and his brewing notions in Ezra's 2012 interview here. The pub setting is impressive...charming industrial, I might call it. It isn't industrial in a grubby way. 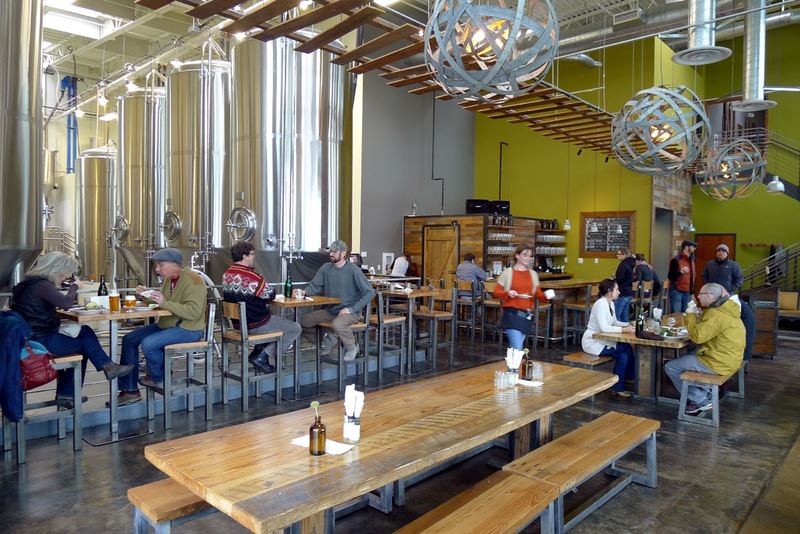 It reminds me of The Commons in Portland, except that Pfriem is a full pub where The Commons is strictly a tasting room. Here, you sit within feet of the tanks and there's no barrier of any kind. Unusual. All you need to now is that Pfriem's space is spotless and inviting. They were pouring 12 beers when I stopped by, a pretty standard number for just about any pub or tasting room these days. This represents a significant escalation from what you would have typically found a few years ago. I think there are reasons for that, which I'll get to in a future post. I ordered a taster tray that included six beers. These are four ounce pours. Since this was lunch and I was driving back to Portland afterward, a single flight was the limit. The chosen beers (shown in above photo) were Wit, Pilsner, Rye PA, CDA, Belgian Strong Dark and IPA. These are all nice beers. The Wit (5.1% ABV, 18 IBU) is pleasantly crisp and refreshing. The Pilsner (4.9% ABV, 38 IBU) is a Northwest interpretation of the style. It's light, but fairly bold and spicy. The Rye PA (6.4% ABV, 47 IBU) is understated for a rye beer. Good, but very little zip. The standouts for me were the IPA (7.2% ABV, 65 IBU) and the CDA (7.5% ABV, 70 IBU). The IPA has a boisterous piney aroma and a blast of grapefruit and citrus in the flavor. The CDA has complex undertones in the backbone that blend perfectly with aromas and flavors of pine and toffee. Excellent beers. Little did I know the Belgian Strong Dark (7.5% ABV, 30 IBU) was about to be named Beer of the Year by Willamette Week. It's a nice beer and all, but it didn't suit my fancy on this day and wasn't close to my favorite beer on the tray. That's no knock on Pfriem or WW. The fact is, flavors and palates can be influenced by a wide range of factors. As mentioned, this is a pub with a typical pub menu. It's a fairly stripped down selection of snacks, salads, sandwiches, burgers, etc. I ordered a bowl of the soup of the day, clam chowder, along with some fresh cut fries. My food arrived almost instantly, despite what appears to be a small kitchen and limited staff on duty. They are attentive. 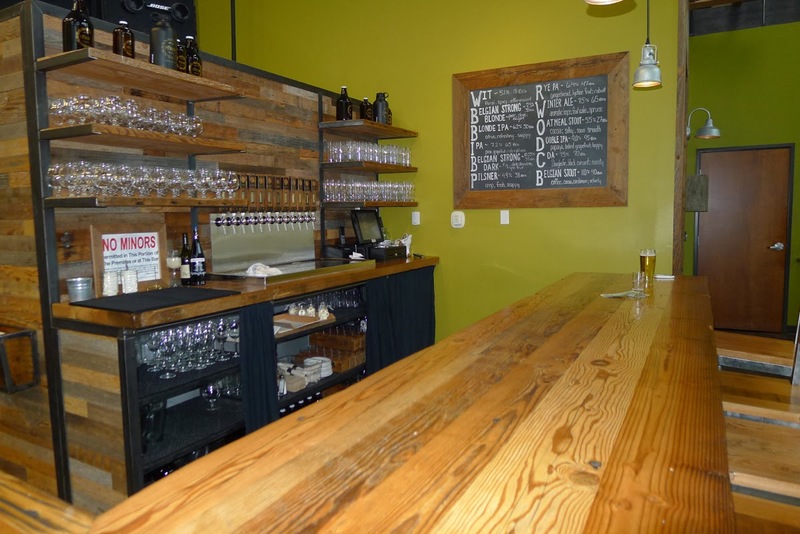 If you're headed out to Hood River, a stop at Pfriem is definitely in order. The beer is excellent and it's a terrific spot. There's nothing particularly distinguished about the prices or the menu, but that's in keeping with the general theme of things in Hood River, which seems to be increasingly inhabited by tourists. It's tough to keep a place like this secret.